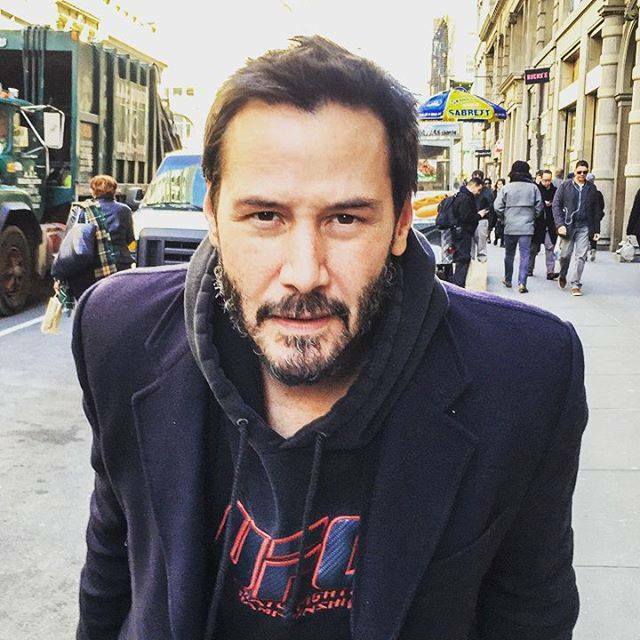 You Need to Read What Keanu Reeves Wrote About This Picture Of Himself! Keanu Reeves just shared this picture on his social media networks and wrote an incredibly inspiring message. "You see these people behind me? They are rushing to work and not paying attention to anything. Sometimes we get so caught up in our daily lives that we forget to take the time out to enjoy the beauty in life. It's like we're zombies. Look up and take your head phones out. Say Hi to someone you see and maybe give a hug to someone who looks like they're hurting. Help out someone. You have to live every day like it's your last. What people don't know about me is that I had depression a couple of years back. I never told anyone about it. I had to fight my way out of depression. The person who was holding me back from my happiness was ME. Every day is precious so let's treat it like that. Tomorrow isn't guaranteed, so live today! I hope you share this post to spread love this holiday." Focus on the now and you will never have to rush anything. Too many people don't realize the power of the present time by spending it everywhere but in the present moment. This post was republished from sunnyskyz.com. You can find the original post here.